The differences between Aspergers (high functioning autism) men and neurotypical (NT) women (i.e., women without Aspergers) are not only well-documented, but frequently at the heart of troubled relationships. Experts have discovered that there are major differences in the way Aspergers men’s brains and NT women’s brains are structured and in the way they react to events and stimuli. Below are the big differences between “male Aspie” and “female NT” brains. Some of these differences have more to do with male vs. female traits, while others have more to do with Aspergers vs. neurotypical traits. 1. Typically, Aspergers men’s brains are about 12% bigger than NT women’s brains. This size difference has nothing to do with IQ, but is explained by the difference in physical size between Aspergers men and NT women. Aspergers men need more neurons to control their greater muscle mass and larger body size, thus generally have a larger brain. 2. NT women typically have a larger deep limbic system than Aspergers men, which allows them to be more in touch with their feelings and better able to express them, which promotes bonding with others. Because of this ability to connect, more NT women serve as caregivers. In fact, often times the NT wife "takes care" of her Aspergers husband in the same way she does her children. The down side to this larger deep limbic system is that it also opens NT women up to depression, especially during times of hormonal shifts (e.g., after childbirth, during a menstrual cycle, etc.). 3. NT women tend to: (a) utilize non-verbal cues (e.g., tone, emotion, empathy, etc. ), (b) talk through relationship issues, (c) intuit emotions and emotional cues, (d) focus on how to create a solution that works for the couple, and (e) communicate more effectively than Aspergers men. On the other hand, Aspergers men tend to: (a) be less talkative, (b) be more isolated, (c) be more task-oriented, and (d) have a more difficult time understanding emotions that are not explicitly verbalized. These differences explain why Aspergers men and NT women often times have difficulty communicating. 4. Two sections of the brain responsible for language are larger in NT women than in Aspergers men, indicating one reason why neurotypicals usually excel in language-based subjects and in language-associated thinking. In addition, Aspergers men typically only process language in their dominant hemisphere, whereas NT women process language in both hemispheres. 5. Aspergers men tend to process better in the left hemisphere of the brain, whereas NT women tend to process equally well between the two hemispheres. This difference explains why Aspergers men are generally stronger with left-brain activities and approach problem-solving from a task-oriented perspective, whereas NT women typically solve problems more creatively and are more aware of feelings while communicating. 6. Researchers hypothesize that Aspergers is associated with abnormalities in fronto‐striatal pathways resulting in defective sensorimotor gating, and consequently characteristic difficulties inhibiting repetitive thoughts, speech and actions. Neurotypicals tend not to experience such abnormalities. This might explain why Aspergers men tend to be more obsessive-compulsive than their NT counterparts. 7. An area of the brain called the inferior-parietal lobule (IPL) is typically larger in Aspergers men (especially on the left side) than in NT women. This section of the brain controls mental mathematical ability, and may explain why Aspergers men frequently perform higher in mathematical tasks than NT women. 8. Aspergers men tend to have a "fight or flight" response to stressful situations, whereas NT women seem to approach times of stress by taking care of themselves and their children and by forming strong group bonds. The reason for these different reactions to stress is rooted in hormones. The hormone oxytocin is released during stress in both males and females; however, estrogen tends to enhance oxytocin resulting in calming and nurturing feelings, whereas testosterone (which men produce in high levels during stress) reduces the effects of oxytocin. 9. Aspergers men typically have stronger spatial abilities (i.e., being able to mentally represent a shape and its dynamics), whereas NT women typically struggle in this area. Medical experts have discovered that females have a thicker parietal region of the brain, which hinders the ability to mentally rotate objects (an aspect of spatial ability). 10. Because of the way Aspergers men and NT women use the two hemispheres of the brain differently, there are some disorders that Aspergers men and NT women are susceptible to in different ways. Aspergers men are more apt to have dyslexia or other language problems, ADHD, and Tourette’s. NT women, on the other hand, are more susceptible to mood disorders (e.g., depression and anxiety). Given these differences, it is easy to understand why Aspie male-NT female relationships take so many odd twists and turns, and why the divorce rate amongst these couples is disproportionately high. Anonymous said... As most parents have at this point, I've seen Frozen roughly 1.4 million times. There is one song, "Fixer Upper" that has a line that really annoyed me for a while. "You can't really change him, because people don't really change." As a person who is working at managing my Asperger's and trying to improve my life, that really ticked me off for a while. If people don't really change, than why am I bothering? But in some ways, it is true. Who we are at our core doesn't really ever change. If we are kind, we aren't suddenly going to become cruel. If we are wise (different from smart), we aren't suddenly going to become foolish. At our core, our soul, or whatever you believe, we don't change. It is what we do, our actions based on our core that can change. Really, we all change little by little as we go through life, our experiences causing us to become more and more mature. I have come to believe that what can change is our strength, and that is what allows our behavior to change. Aspies tend to become trapped in familiar patterns and circular thinking. Breaking out of those patterns and thoughts is extremely difficult, and choosing to do so is a harder choice than NTs probably realize. It takes a great deal of strength and commitment to choose to change our aspie behaviors in such a way to improve our lives. I know from my experience, a lot of times it is easier and less anxiety ridden to stay with negative behaviors than to try to make something better, because my aspie brain doesn't like change. But if you can find something to be strong for, some reason to make your life better, you can also find the strength to make those changes. Trust in your self-worth, believe in yourself, know who you are, and you may be surprised at how much strength you really have. • Anonymous...Interesting. I'd love to see an article on Aspie women and NT men! • Anonymous ...If I was married to someone like my aspie son, I would have divorced him years ago! • Anonymous...I wish my aspie husband was like my aspie son! No one taught my husband empathy, or the need for it! Nor does he understand intimacy. Ever watch the movie, "Adam"? The scene when the girlfriend was on the phone telling someone that her aspie bf never says, "I love you", and he walks in and says something like I said that before (like saying it once was all that is required)? That is my husband. • Anonymous...Hmm..I'm curious about the opposite. 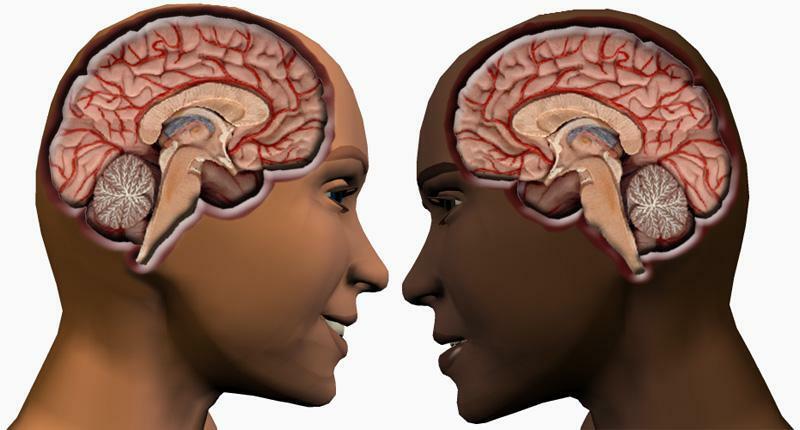 Aspie female brain vs NT male brain. • Anonymous ...Very interesting article. My biggest complaint with my husband was lack of communication. When my son was diagnosed 5 years ago I realised that my husband was an undiagnosed aspie. Once I came to grips with that I adjusted my behaviour to suit. This really makes sense when I read the article and our relationship works well now that I have learnt not to take things personally. • Anonymous...I wish my aspie husband was like my aspie son! No one taught my husband empathy, or the need for it! Nor does he understand intimacy. Ever watch the movie, "Adam"? The scene when the girlfriend was on the phone telling someone that her aspie bf never says, "I love you", and he walks in and says something like I said that before (like saying it once was all that is required)? That is my husband. Aspergers is more common in males rather than females and cause might be structure difference of brain of males and females. According to experts, cause of Aspergers is still a mystery so it is quite difficult to be confident with this fact. • MrCombustion... My wife has an Asperger's sister and for a few years before her behaviors were described as Aspergers I'd always found her somewhat repellent, with no sense of receptivity or attractiveness, just nothing feminine about her at all, kind of bisexual as though 'she' had female reproductive organs but 'he' had a male brain. Then I noticed articles referring to how MRI studies had shown the Aspergers female brain was very similar to the neuro-typical male brain in terms of it's structure. In other words the hypothesis is that males are more readily identified as Aspergers because there behaviors are odd period, whereas female Aspergers exhibit normal behaviors, normal for an NT male and thus are not detected as being 'odd', especially in these politically correct times where to look into this issue would have one labelled as a misogynistic bigot. • Anonymous ... Married to ASD Husband for 34 years, 2 children with ASD. I get my emotional support from my NT son, my friends on social media and my Poodles. I really cannot have friendships. I am married and it would be with married couples but my ASD husband has no desire for real friendships. They stress him out, As he says, I only have so much EMO to go around and I guess he gets more than enough from me. It is a hard life but one I chose, unknowingly, but, nevertheless, one I will stay with. I am a hyper-mom, So yes, I am more of his mom than wife.